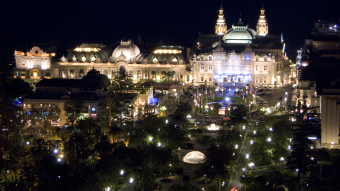 The Casino de Monte-Carlo is one of the most famous gambling establishments on Earth and as a result is often referenced in various forms of media. Perhaps the most well-known mention of the casino is the song, The Man Who Broke the Bank at Monte Carlo. But who was this mysterious gambler and how exactly did he break the bank? To begin with, we should probably explain what “breaking the bank” means, since there appears to be some confusion around what specifically it refers to in this context. Breaking the bank happens when a gambler wins more money than the table they’re playing at currently has available. While breaking the bank can also technically refer to winning more money than the entire casino currently has available, this is virtually impossible (at least today) for a variety of remarkably uninteresting reasons. As for the term itself, it is said to originate from a French saying, “faire sauter la banque“, which roughly translates to- you guessed it- “breaking the bank“. At the Monte-Carlo, whenever someone was able to accomplish the impressive feat of breaking the bank, the staff would place a ceremonial black cloth over the table while more chips were brought over, meaning technically, a skilled or lucky player could break the bank several times over the course of an evening. One of the first men known to have accomplished this at the Monte-Carlo was an engineer called Joseph Jagger who, in 1873, studied the casino’s six roulette wheels in an effort to discern whether or not they were truly random. After many hours of watching the wheels and meticulously noting the results with the help of six hired clerks, Jagger discovered that one of the wheels wasn’t giving truly random results. Jagger theorised that a mechanical imbalance in the wheel was causing it to act in a predictable way, thus creating a point of exploitation. With this knowledge in hand, he strolled into the casino and promptly won approximately $70,000 (or about $1.3 million today) in a single evening. Over the course of the next few days, Jagger broke the bank multiple times, ultimately netting himself approximately $450,000 (about $8.7 million today) prompting the casino to move the wheel he was gambling on without Jagger knowing. As they expected, Jagger suddenly began losing on his next trip to the casino. However, Jagger soon found his favoured wheel again due to a small scratch it had on one of the numbers and quickly won back the money he’d lost. The casino, who at this point still had no idea how Jagger was winning so consistently, then resorted to moving around the frets dividing each number, which threw off his predictions, causing him to start losing again. Jagger, wisely deciding to quit while he was ahead, took his remaining winnings and went home to England where he became a respected property owner and businessman. All in all, he walked away with approximately $325,000 or about $6.3 million today. The casino itself initially lost significantly more than that due to a number of people attempting to cash in on Jagger’s “luck” by mimicking his bets during his hot streak. Of course, this all worked out for the Monte-Carlo in the end as Jagger’s wins were widely publicised, helping to further popularise the casino. Although Jagger’s bank breaking streak was impressive and widely reported on in his time, he isn’t believed to be the inspiration for the song, The Man Who Broke the Bank at Monte Carlo which was, interestingly enough, written the year he died in 1892. The song is actually believed to be inspired by another Englishman called Charles Wells who accomplished a similar feat a few years later than Jagger in 1891 and likewise helped to make the Monte-Carlo one of the most popular casinos in the world thanks to his exploits. Unlike Jagger, who broke the bank using a system, Wells always maintained that his own hot streak in the Monte-Carlo was the result of dumb luck. Of course, Wells was something of a conman, so whether it was actually luck or not is a matter of debate. In fact, just to get the money he needed to break the bank in the first place, Wells is thought to have conned several wealthy Brits out of their money by claiming to have invented a “musical jump rope”, which they invested in, allowing him to take the money and flee to Monaco where he made a beeline for the Monte-Carlo. Over the course of a single 11 hour gambling session, Wells turned £4000 into approximately one million Francs (about $23 million today) by betting on roulette. In the process, it was reported that Wells managed to deplete the reserves of the table a staggering 12 times and during one particularly impressive hot streak managed to correctly guess 23 times out of 30 spins (giving him a 76% accuracy rate). The next day, Wells left Monaco, but he didn’t stay gone. A few months later, he once again arrived to gamble at the Monte-Carlo, only this time arriving in town in a huge yacht, The Palais Royal, with a beautiful woman, one Joan Burns, on his arm. Once again, seemingly with only luck on his side, he managed to win over one million Francs from the casino, this time in a three day gambling session, breaking the bank several times in the process. The casino, while enjoying the publicity, believed that Wells had to be cheating so hired a team of private detectives to find out how he was doing it. However, they couldn’t find anything amiss and concluded that the streak just seemed to be the result of some amazingly good luck. And they may even have been correct. You see, Wells ultimately lost all his winnings, along with money from investors. (In this new investment scheme, he claimed he’d come up with a new design for an ultra-efficient steam engine that he was testing in the yacht he arrived in town in.) In fact, while in the process of losing his winnings, he even managed to get some of these investors to send him even more money, claiming he needed it to repair his engine, but that he also just gambled away. In the end, he lost everything and continued on in his conman ways. He spent the remainder of his life intermittently being arrested and defrauding people, sometimes on a surprisingly massive scale, before eventually dying more or less penniless and being buried in a pauper’s grave. Is it Possible to Cash Oversized Novelty Prize Checks? Although we still don’t know exactly how Wells broke the bank at Monte Carlo, it has been theorised that he employed something known as the Martingale betting system, in which a gambler simply bets on red or black and doubles their bet after every loss until their chosen colour comes up. While extremely risky, this strategy can potentially work if you have massive sums of money to fund it and there is no house limit on a single bet. Of course, given the odds are slightly in the favor of the house, rather than 50/50 in betting red/black in roulette, and it requires massive sums of money to keep playing until you win, extremely rapidly reaching dollar amounts few actually have available, as with all non-rigged casino games, the house always wins in the aggregate. As to whether this strategy was truly one employed by Wells, this seems unlikely as the investigators into his gambling runs would have easily spotted what he was doing if that had been the case. A classic, and very famous, example of gambler’s fallacy occurred at the Monte-Carlo on August 18, 1913, netting the casino millions of francs in a very short period of time. What happened? One of the Monte-Carlo’s roulette tables came up black a remarkable 26 times in a row. People quickly noticed the streak and began betting large sums on red, falsely believing that the more times black came up in a row, the more likely red was to be the next spin. This compounded on itself the more times black came up, with more and more gamblers convinced this somehow had a bearing on the next spin, reportedly ruining many a gambler during the streak. In the 1st bonus fact, the sentence beginning ‘Of course, given the odds …’ is poor grammar. It’s a run-on. It appears that there should be two sentences. There should be a period where the comma is in ‘… have available, as with all non-rigged …’. @Kimberly Green: Sorry Kimberly. Normally Lovepareek is a very good commenter, but in this case perhaps had a bad day or something. 🙂 I deleted his comment. While I love a good discourse in comments (even sometimes when people get heated on some point it can be very insightful so is fine), outright insults or personal attacks aren’t tolerated, even in some cases where the rest of the comment is super interesting and well thought out. @Daven Hiskey It’s ok. I’m sure he did indeed have a bad day and I appreciate your moderation. May I suggest you also delete my reply to him as well, just to tidy everything up?